Long term Investment always pays. Only buy something that you’d be perfectly happy to hold if the market shut down for 10 years. It is famous saying by the Investment Guru Warren Buffett. You are likely to get a better return in the stock market if you hold the stock for a longer period. Let’s try to understand this by practical example. Rakesh Jhunjhunwala popular stock market investor is holding stock of Titan since 2002-2003. He bought Titan at the average price of 5 Rs. As of now, the stock price of Titan is Rs.1100. Overall CAGR return of this stock from 2002 to 2019 is 37%. From the above example, we can clearly say that long term investment in the stock market is advantageous, provided you invest in the right stock. I know it is difficult to identify the best stock for long term investment for DIY (Do Yourself Investors). You need to carry out extensive research and evaluate various parameters of stock such as earnings growth, past performance, dividend, market cap, future earning potential etc. If you don’t do your homework properly before investing you may lose your money. You have to be firm in making the selection of stock. If you don’t know how to select stock here is a method to identify Best Stock for Long-term Investment. I called it as ten point’s strategy for the selection of stock. 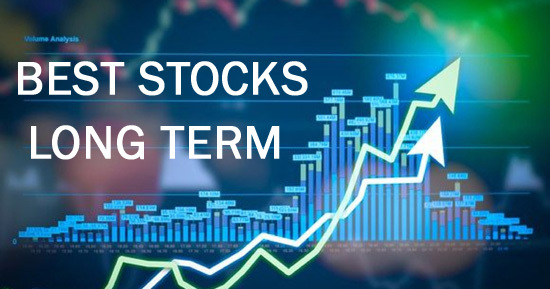 How to Identify Best Stocks for Long term Investment? You need to consider the following ten points while selecting best stocks for long term investment. The first important factor of consideration is fundamental of the company. Fundamental means the intrinsic value of a stock. The method of doing an analysis of finding intrinsic value is also known as fundamental analysis of the company. Fundamental analysis seeks to establish how underlying values are reflected in stock prices. This analysis will help you to find out the best companies for the investment. If a company is not fundamentally strong there is no point in discussing products, services, future prospects of the company. Fundamental analysis is done by checking financials of the company. I use 8 different financial ratios and 2 key indicators to know fundamentals of the company. The details about financial ratios and key indicators are given below. If company fulfil above criteria you can evaluate company for the next point. A second important point to check about business is Longevity of business. Longevity of business means offering product or services for longer duration that completely satisfy customers requirement and withstand in the competitive market. Above thing is also endorsed by Raamdeo Agrawal. As per him you should look at – How long business growth story will continue? Predicting longevity is a pure judgment based on experience. This gives confidence of investing in stock. You should also look at the quality of the product and services offered by the company is the next point for the consideration. Invest in the company with which offer superior products and services. Never select a company where a product or business model is not known. Never select company based on the current business situation. As you are planning to invest for the longer duration evaluate company from future business perspective. Try to evaluate if people will be using company product and services after few years. If product and services is having future demand company is likely to make good profit. E.g If you are looking at the stock of finance company you should look at present loan demand, market share and potential growth in the demand of loan offered by that company in the future. You should focus on the Future Productivity of the assets – Warren Buffett. Also Read – Dividend Stocks in India – How to find highest dividend paying Stocks? Innovative products or Unique selling point is the next important point to consider while selecting the best stock for investment. Let’s try to understand this by practical example. Reliance Jio is one of the largest Indian Mobile network operators. Jio is constantly innovating and launching new products. Few examples are Jio TV network, Jio App, Portable router, Jio Phones etc. The unique selling point about Jio is free voice call, Slashed data rates, Affordable devices, easy activation etc. You should look at innovation and unique selling points while selecting the company. Another important point to consider is surplus cash and debt free status. Money is required for running every business or doing expansion. Surplus cash or debt-free status always help in the growth of the company. Debt Free companies are companies with zero debt. Zero debt indicates that the company’s financial health is very good. They are capable to withstand any type of economic conditions. The best example of debt-free company in India is Bajaj Auto. Bajaj Auto generates enough revenue to finance all internal operations and investment requirements. This stock has generated very good returns for the investors. Another important point to consider is the management of the company. The management of the company should be honest, dependable, dynamic and capable of handling any adverse situation. The management should consist of visionary leaders and capable of making money and generating new business opportunities. It is always recommended to check past performance history of the stock. You should check out at least past three years performance of the stock before making investment. Past performance history is one of the indicators about the stock. A concept of MOAT is very old. This concept is first invented by Benjamin Graham and Warren Buffett. The meaning of MOAT is the competitive edge of the company against the competitor. The competitive edge of the company can be because of multiple reasons such as monopoly product & services, affordable price, use of monopoly technology, high entry barrier etc. E.g Reliance enjoys a monopoly situation in refinery business in India due to the high entry barrier of cost and regulations. Another example could be Asian Paints. Asian Paint is holding the largest market share in the Indian paint industry due to a competitive edge. One should not only look for the popularity of the stock. Popular stock can give return however return possibility is higher in High quality less popular stocks. This theory is applied by a stock market investors such as Dolly Khanna and Porinju Veliyath. After looking at important points to shortlist stocks let’s look at few stocks which can fulfill some of the mentioned conditions. The first best stock for long term investment in India 2019 is Britannia. Britannia is a food company with products like biscuits, bread, dairy, cakes etc. Britannia has good consistent profit growth of 32.75% over 5 years. A company is maintaining healthy dividend payout. Fundamental of the company is sound. A company is virtually debt free. They have a competitive edge over other peers. Britannia is constantly innovating and launching new products. The company has a very good future business potential. The stock has given very good performance in the past. You can invest in Britannia with long term perspective 5 years and above. The next stock for long term investment in India is Titan. Titan is one of the favorite stocks of Rakesh Jhunjhunwala. The net profit margin of Titan is growing. The revenue of the company is growing. EPS company is growing. The company is maintaining a healthy dividend payout. A company is not completely debt free. However, they are innovating a lot by launching new products such as eyewear, perfumes, belt, wallet etc. Titan has a very good competitive edge over peers. Strong management and very good past performance are other positive aspects of this stock. HDFC Bank is next recommended stock for long term investment in India 2019. HDFC Bank is fundamentally strong stock. A net profit margin of HDFC Bank is growing YOY. Revenue of HDFC Bank is also skyrocketing. EPS of HDFC is growing. HDFC Bank is innovating by launching various digital initiatives such as Humanoid Robot IRA, Bank on Chat, Instant Loan at ATM etc. HDFC bank enjoys a competitive edge over others. They have very good future potential. This company is backed by visionary management. This stock has generated very good returns in the past. You can invest in HDFC bank with long term perspective. Do you think above methodology of identifying stock for long term investment works? Which method did you use for identifying good stock for investment?